In this ongoing series, we gather with artists and practitioners to gain new insights into how ideas within exhibitions are in dialogue with current issues, multiple disciplines, and contexts central to artists’ interests. 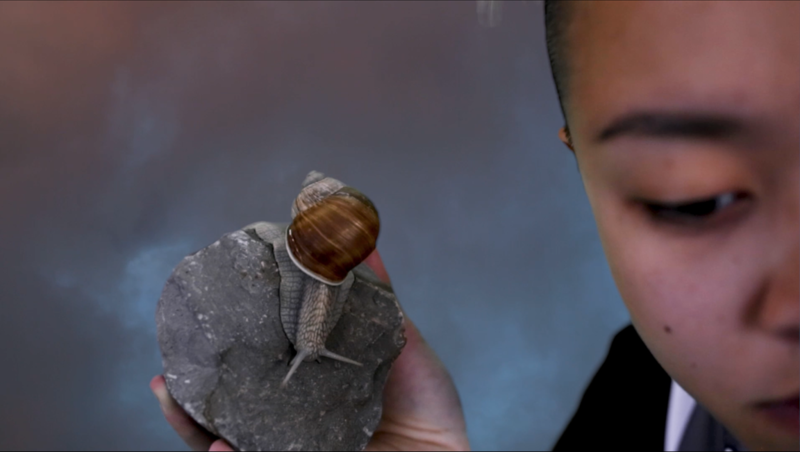 Thea Quiray Tagle moderates a conversation with artists exhibiting in Between Bodies, and explores intersecting themes within the show including contamination, expanded forms of agency, and future imaginaries within shifting environmental ecologies. Employing writing, video installation, augmented reality, and an herbal fog, these artists’ works encompass a broad spectrum of relationships between the human and more-than-human and raise questions about whose bodies are considered and affected in our changing world. Abraham Avnisan (U.S., born 1983) is an interdisciplinary artist whose work is situated at the intersection of image, text and code. He creates applications for mobile devices, interactive installations and technologically mediated performances that seek to subvert dominant narratives through embodied encounters with language. Avnisan holds an M.F.A. in Art and Technology Studies from The School of the Art Institute of Chicago and an M.F.A in Poetry from Brooklyn College. Abraham joined the faculty of the School of Interdisciplinary Arts and Sciences at UW Bothell in 2017 as an Artist-in-Residence. micha cárdenas is an artist and theorist working at the intersections of gender, race, and technology. She is currently Assistant Professor of Art & Design: Games + Playable Media at the University of California, Santa Cruz, before which she was Assistant Professor of Interactive Media Design and Interdisciplinary Arts & Sciences at the University of Washington Bothell. Her book in progress, Poetic Operations, proposes algorithmic analysis as a means to develop a trans of color poetics. cárdenas completed her Ph.D. in Media Arts + Practice in the School of Cinematic Arts at the University of Southern California. Patrick Staff (U.K., b. 1987) works with film, dance, installation, and performance to trouble binaries within medical, legal, and political conceptions of gender, health, and ability. Staff’s recent work has explored the intersections of intergenerational biography, queerness, illness, and contamination to reflect on disciplinary structures that form and are reproduced in the body. Solo exhibitions of their work have been held at Commonwealth and Council, Los Angeles (Hatefull to the Stomach, Harmefull to the Braine, 2018) and MoCA, Los Angeles (Weed Killer, 2017), among others. Thea Quiray Tagle, PhD is a writer, scholar, teacher and curator whose research broadly investigates socially engaged art and site-specific performance; visual cultures of violence; urban planning and the environment; and grassroots responses to political crises in the US and the Philippines. She is a full-time faculty member in the UW Bothell School of Interdisciplinary Arts & Sciences, and recently curated two shows, AFTER LIFE (what remains) and Queer Value, for The Alice.